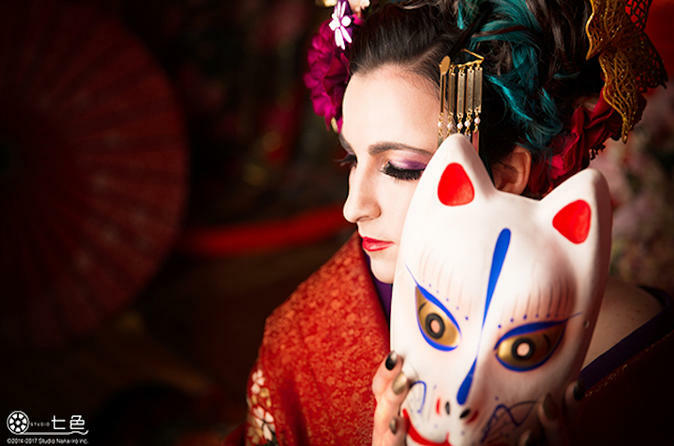 You can get the most special experience to make yourself in the traditional Japanese OIRAN ! The first entertainment quarter (a place where prostitutes gather) in Japan was built in the south of Kyoto in 1589. The entertainment quarter was most popular during the Momoyama period, the glory days of Hideyoshi Toyotomi. During the transition from the Momoyama period to the early Edo period, after Ieyasu Tokugawa reigned the whole country, Edo Yoshiwara was officially acknowledged by the feudal government as an entertainment quarter. The highest-ranked Oiran was called "Tayu", but the name disappeared during Horeki era and the name "Oiran" had been used instead. With the enactment of anti-prostitution law in 1956, Edo Yoshiwara and other entertainment quarters vanished.